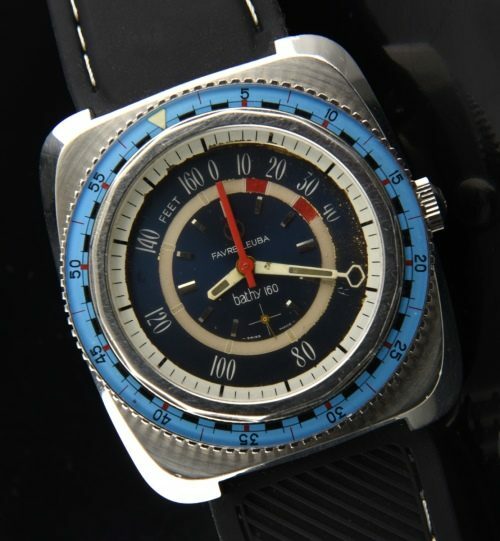 This is a rare circa 1966 FAVRE LEUBA BATHY 160 depth gauge watch This GIGANTIC case measures 43.3mmx48.4×15.5mm. thick. The case displays excellent overall condition. The blue turning checkerboard bezel displays amazing overall condition. The original blue dial with white and red accents has some fading from age and paint chipping (often seen on these) on the inner white bezel. 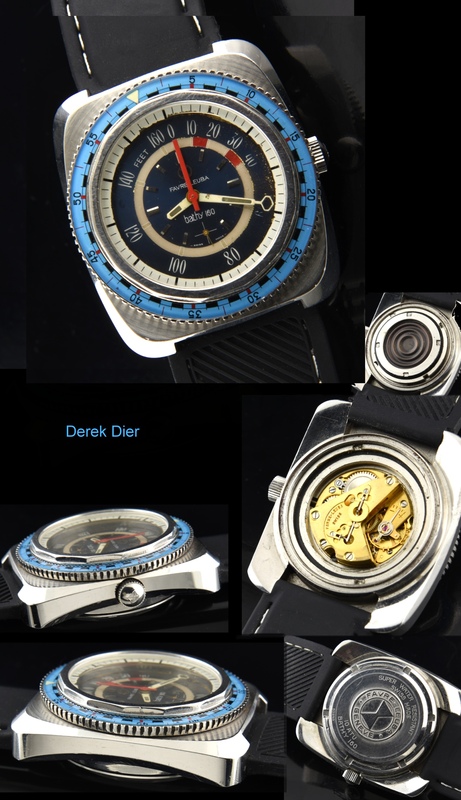 This is a professionally designed TOOL watch-the first of its kind able to register diving depths accurately up to 160 feet. The manual winding movement is keeping time after a recent cleaning. There is a screw-down original winding crown and sapphire crystal. Favre Leuba is one of the world’s OLDEST watch companies-since 1718. Don’t pass by this important vintage watch in museum-like condition. I highly recommend putting this away, as it should only increase in value. This watch is priced EXTREMELY well.